Mr. Sturkie has practiced law with the McCravy, Newlon and Sturkie Law Firm since 2000. His education includes a Bachelor of Arts Degree in Political Science from the University of South Carolina. He also received a Juris Doctor from Mercer University School of Law. He then received a LLM in post graduate legal studies from the University of Miami School of Law. Mr. Sturkie has been representing clients in private practice for over 15 years. Mr. Sturkie is licensed to practice in all South Carolina trial and appellate courts including Circuit Court, the South Carolina Court of Appeals, and the South Carolina Supreme Court. 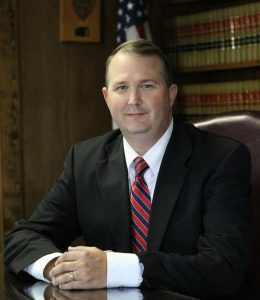 Mr. Sturkie is also licensed to practice in Federal District Court and the U. S. Court of Appeals. Mr. Sturkie is a member of the South Carolina Bar Association. Additionally, Mr. Sturkie serves on Honea Path United Ministry Board and the Greenwood Christian School Home Educators Association Board.